Night’s spectres have met their defeat. 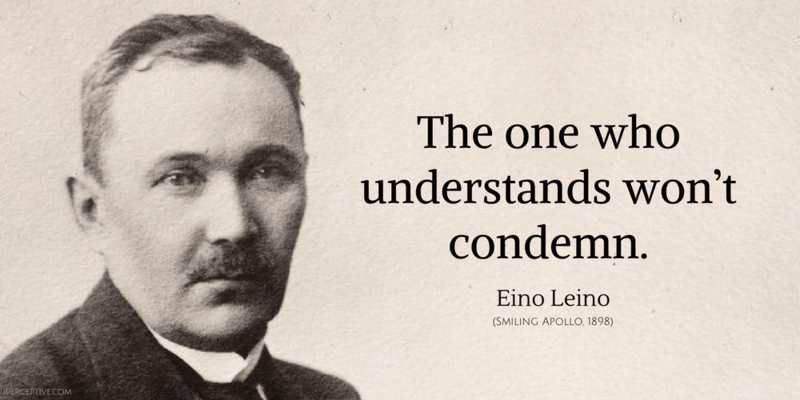 The one who has knowledge, he won’t condemn. so hearts aren’t for rocks mistaken! belovèd sound jingle in every heart. 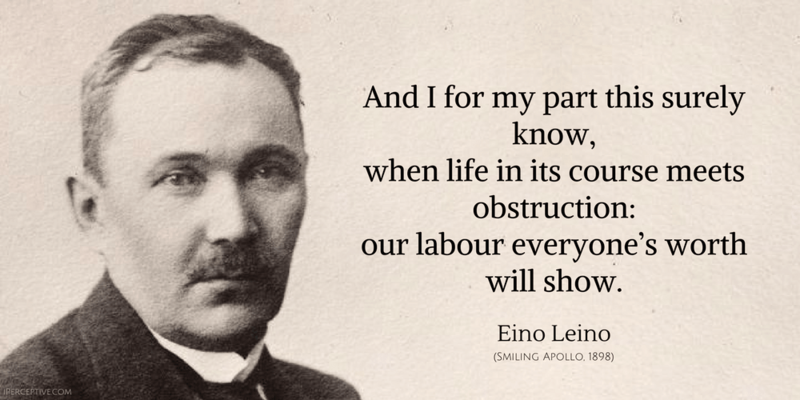 our labour everyone’s worth will show. God is close to the ones he has made. But, yearnful, his singing is soft to them. and people’s affections the stronger will make. And thus way divine they will take. and heaven’s at peace, its work is complete. indulge in love’s pleasure – they’ll vanish. indulge in love’s pleasure – it banish. we plough the great sea together. at death pain attends us moreover. oh, may life with kindness and warmth surprise! 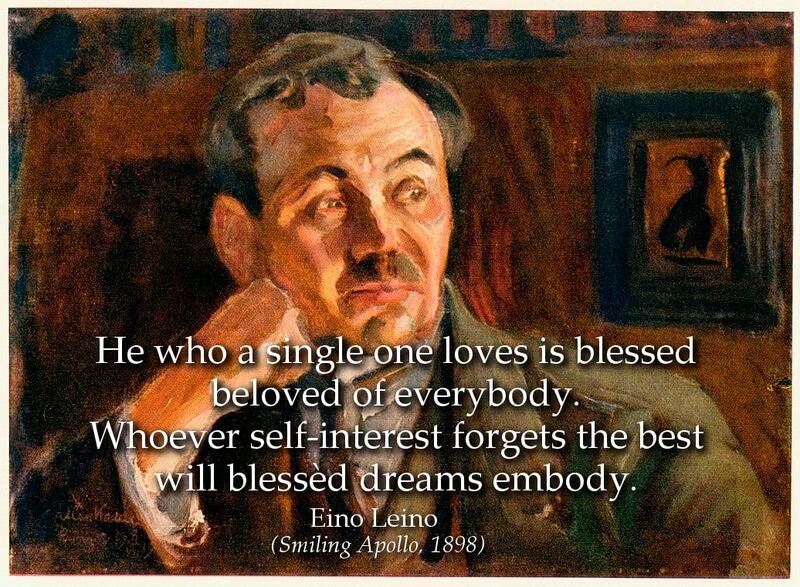 Eino Leino was a Finnish poet and journalist who is highly esteemed and widely read in Finland today. 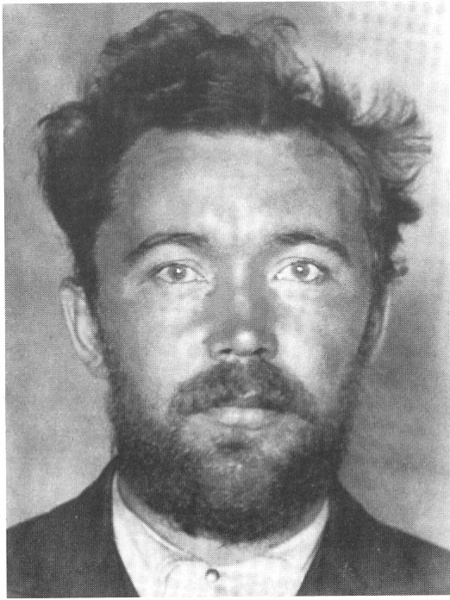 He is best known for his poetry that combines folk elements of the Finnish people with nature, and more.